Goa is the land of sun, sand and palm fringed beaches taking hold of tourists every year. The complete beach scenario is in perfect harmony with architectural splendor of its churches. While on vacation, you may get a chance to enjoy their variety of local cuisines as well enjoy their professional body massages. 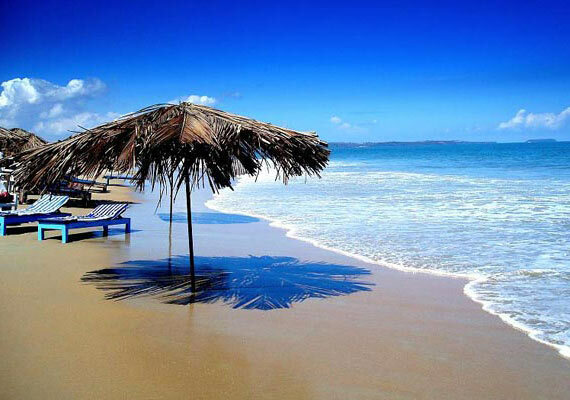 Goa is a one-stop honeymoon destination with sunny beaches and fun filled surroundings. The peak season (November to January) attracts tourists from all over the world. People come here to enjoy beach parties, stylish flea markets, indulge in water sports and a lot more. One of the most significant event held in mid-February every year is Goa Carnival. The weeklong event is popular for graceful dances, lively processions, and non-stop festivities. Be it the sumptuous food or the beach, Indica Travels & Tours let you explore all by offering special tour packages. Apart from that, special honeymoon packages are sure to add more fun and excitement in your new married life. We also offer exclusive Goa travel packages from Delhi, which takes care of everything from hotel booking, food service to visiting leisure sites and shopping. On arrival you will be met 7 transferred to your hotel. Stroll on the beach, sunbathe or just laze around and chill out at the beach stacks. Overnight stay at beachside resort. After breakfast, depart for North Goa Tour at 9:30 am, Places covered: Coco beach, Calangute/ Anjuna/ Vagator beach, Mayem Lake, Fort Aguada, Mulgao Temple. Enjoy exciting 1 Hour River Cruise with live band & DJ on river Mandovi in the evening. Overnight stay at beachside resort. After breakfast, depart for South Goa Tour at 9:30 am. Places covered: Heritage Monuments like Chruches atOld Goa which include,Basilica of Bom Jesus, Magnificient Se Cathedral, which houses the famous Golden Bell, visit Museum of Christian Art or Wax World museum near Gandhi Circle, Old Goa, 5 minutes walking distance from the Basilica. Proceed to the temples of Mangueshi- dedicated to Shiva & Shanta Durga Temple. After the temples visit Ancestral goa at Loutolim which is a "mock village" open air museum depicting traditional Goan village life, through art. After luncj visit Colva Beach, Dona Paula Bay and the lovely Muramar Beach. Overnight stay at beachside resort. After breakfast you will be dropped at the Jetty to depart for Backwater cruise along the riverine tips of the island of Chorani, Divar & Old Goa. Enjoy the sights and sounds of Mandovi's thick mangroves. Walk among the aromatic plants at Spice Plantation. Goa meal served in earthen pots and on Banana leaf. Cruise returns to jetty. Overnight stay at beachside resort. After breakfast, Check out by 12:00noon and departs to Airport/Madgoan station. We know what your vacations mean to you and your family. That is why Indica Travels manages your Goa travel packages in a professional way. We ensure that you have a remarkable experience in your preferred destination by providing you top notch services. We take care of your pocket and hence customise your trip according to your budget.